Reviews of the Samsung NX1 from around the web. In recent time Samsung has produced some impressive compact system cameras such as the NX30 and NX Mini, but they don't seem to have grabbed the attention of the average enthusiast photographer. The NX1, however, has a featureset that few photographers can ignore. The Samsung NX1 is the sort of camera we’ve always hoped Samsung would make. The company is a king of forward-looking tech in other areas, but Samsung often seems to lag a little behind with its enthusiast cameras, where veterans Nikon, Canon and Sony often have the edge. Samsung's new top of the range Samsung NX1, features a 28 megapixel APS-C BSI (Backside Illuminated) CMOS sensor, 15fps continuous shooting, phase-detection focus, 4K video recording, as well as a high resolution electronic viewfinder, and a tilting 3inch AMOLED touch-screen. The Samsung NX1 is also weather-sealed and is introduced with a new weather-sealed 50-150mm f/2.8 telephoto zoom lens. 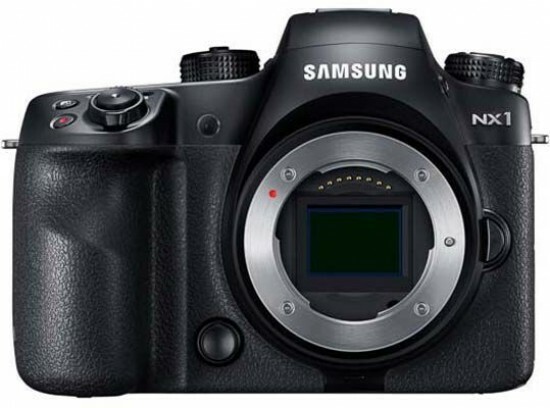 The Samsung NX1 has an RRP of £1299, and sits above the NX30. The NX1 is a 4K camera out of the box but make no mistake, it is really a 6K camera. When the NX1 was being developed in Samsung’s lab, the sensor output ran at 6.5K raw at 240fps. Although the feature was only for debugging and not destined for consumers, this should give you an idea of the kind of hardware advances they have made with this camera and the new manufacturing techniques they are employing to get there.